We can see cities and countries transformed if we just start to make disciples and obey what Jesus has called us to do; That we preach the gospel and heal the sick. Here you can see how effective we can be in just 2 hours when 10 Christians pray for the first sick person and they were all healed. They were kick-started to a whole new life where people are healed, saved, and the kingdom of God grows. 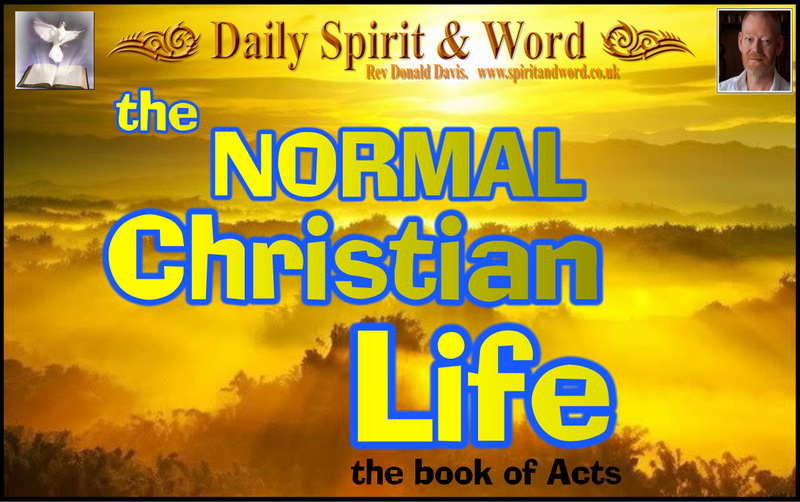 The Normal Christian Life Introduction. Jesus did not come with a new religion. He did not come so that we should just go to a certain place (church) at a specific time (Sunday church service) where a certain person (priest) does certain things that we can not do. No, he came with a kingdom that is so much different than what we see in the “church” today. Do you want religion or the kingdom of God which Jesus came with? See this amazing teaching. I’m an Evangelist: I liked the reminder in this video that the function of someone who’s called by Jesus to be an Evangelist is to train and equip other to share the Gospel and lead people to Jesus Christ. But it’s the same thing with every other one of the Leadership gifts, to train, equip and build others up to do what they are doing: Pastoral Gift to train others to be Pastors. Prophets to train and equip others to prophesy (John Wimber exemplified this). Teachers, to teach and equip others to be able to teach. Apostles, to train and equip others to become Apostles too. Praise the LORD! I’ve been training others in Evangelism as well as going out and doing evangelism on the streets, from house to house and in the open air. Video 3: The Book of Acts. The book of Acts gives us a little insight into some of the first disciples’ lives. An insight into a few days in some of the disciples’ diary. If Jesus is the same today, our diary should also look like what we read there. This challenging lesson will help you to live a life as we read in the book of Acts. Jesus did not come with a lot of theology. He did not start a Bible school. He said: “Come and follow me”. He called apprentices (disciples), who had to learn through his example… If we want to be effective in making disciples, like he calls us, we must then do it the same way as he did. We need to stop teaching so much, which just gives us knowledge, but not much to obey. See this challenging teaching that will help you to understand what Jesus calls us to. Video 5: Preach and Heal. Here is an important teaching that reveals how far the churches have moved away from the calling Jesus gave us. The Bible makes it clear that Jesus paid the price not only so that we can be forgiven of our sins, but also so that people can be healed. Therefore, he called his disciples to both preach the gospel and heal the sick. We who are disciples of Jesus today should therefore also do the same. This will become clear to you in this teaching about healing.